Elizabeth Warren’s shuts her moth when it comes to sanctioning her friend Hillary Clinton and the Democrat party. As noted below the Democrats conspired to eliminate Sanders from the beginning. The fix was in. Consumers were left holding the bag. This was outright fraud, but you don’t hear Warren asking for an investigation, asking for indictments asking for penalties. When it comes to political fraud that goes your way the consumer advocate remains silent. She is the mother of all hypocrites. Debbie Wasserman-Schultz and John Podesta coordinated and planned the outcome of the Democrat primary, thereby eliminating Bernie Sanders from the start. Prior to the opening of the Democrat Convention in August, Ms. Wasserman Schultz announced on Sunday she would step down from her post chairing the DNC after the convention. The announcement came after WikiLeaks had released an embarrassing trove of internal DNC communications that showed DNC staff tossing around the narrative that Sen. Bernard Sanders was running a mess of a campaign. But newly disclosed hacked campaign documents published by WikiLeaks and a hacker who calls himself Guccifer 2.0 reveal in stark terms how Hillary Clinton’s staffers made Super PACs an integral part of her presidential campaign. In October 2015, several Clinton staffers strategized over ways to attack author Ed Klein for attributing an apparently fake quote to former President Bill Clinton in his book. “I’m sure Brock and team would love to go at him. Nick, want me to put you in touch with them?” Clinton campaign communications staffer Christina Reynolds, wrote, referring to Clinton press secretary Nick Merrill. “I can reach out to David,” volunteered Karen Finney, another Clinton staffer on the email chain. A month later, Reynolds emailed a list of agenda items for an upcoming campaign meeting. High on the list: determining how to frame Bernie Sanders, and whether attacks on Republicans “should go through HRC, surrogates, DNC, CTR,” another reference to Correct the Record. CLICK HERE FOR OUR PREVIOUS ARTICLE ON THE PLAN TO ELIMINATE SANDERS. SEE OUT RECOMMENDATION TO MAKE HILLARY FEEL THE BERN ONE MORE TIME. The night of Donald Trump’s big Indiana Republican primary win, Sen. Elizabeth Warren, D-Mass., was ready. She tore loose with a series of late-night anti-Trump tweets in which she accused him of racism, sexism, xenophobia, narcissism and a host of other faults. Two weeks earlier, after being asked about another Warren tweet storm in which she accused him of being “a loser,” Trump fired a warning shot across Warren’s bow. 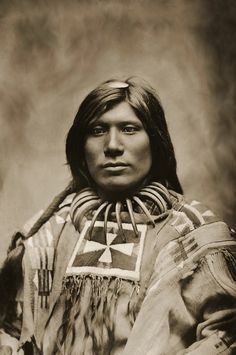 “Who’s that, the Indian? You mean the Indian,” he responded, referring to a well-known political controversy over Warren claiming Indian heritage. The exchanges signal the start of what could be a nasty surrogate side-battle as the general election campaign begins to take shape. Warren is poised to be an aggressive Trump critic, for the Democrats and Hillary Clinton, should she lock up the nomination. And for Trump, who thrives off detecting weakness and pouncing, Warren is a target-rich environment. From 1986 to 1995, she listed herself as a minority in the Association of American Law Schools directory. Harvard Law School cited her alleged Indian heritage in dealing with criticism that it lacked a diverse faculty. Her recipe in the “Pow Wow Chow” cookbook became the subject of derision, after charges it was plagiarized from a New York Times cookbook. “I think she’s a fraud,” said longtime nemesis and Boston conservative talk radio host, Howie Carr. “I think her entire success in academia and in politics is based on a lie that she’s a Native American. She refuses to take a DNA test. She doesn’t even call herself Native American, anymore,” he said. Elizabeth Warren does not have Hillary Clinton’s back. Most likely she never did. Actually, when the 2016 Presidential election season plays out with Warren winning the Democrat primary, the question arises; will Clinton have Warren’s back? Interestingly enough Clinton had the back of Barack Hussein Obama. But this time Clinton will not be interested in playing Second Fiddle. The reality will expose the Democrat cleavage. Warren makes a valid point. Just six years ago the banks were headed for extinction. The cause “GREED”. The banking implosion was due to greed. Gordon Gekko said that greed was good; it became a pervasive philosophy among the bankers. And recent news reveals that JP Morgan Chase acted accordingly; for Bankers play by a different set of rules. Thousands of bankers benefited from the collapse and very few have spent time behind bars woofing down three squares a day. However, they have spent much time devouring their favorite elixir in some of their favorite bars and bistros, all on our money. The banking system is unlike most if not all private companies. The government has their back. The Federal Reserve is an incestuous institution, private and public at the same time; it provides liquidity in time of panics. That is where the major problem lies. Banks that took on too much risk, in the case of banks too big to fail, are bailed out. Hence they are rewarded for risk taking. That is wrong, they should be allowed to fail, pay the penalty and forgo their previous incentive payments and salaries. Another prime example is the Federal National Mortgage Association (Fannie Mae) and the Federal Home Loan Mortgage Corporation (Freddie Mac), both GSO’s that operated with impunity while the top dogs bilked the companies fleeced the treasury and stockholders for all they had. Failed institutions do die, but their executives always pop up somewhere else. How about that Jon Corzine, ex gov of NJ, once the head honcho at MF Global allegedly participated in the sinister move of looting customer funds. So coming into the 2016 debate the Republicans will have to alter their traditional message. “Greed by Bankers” is not good expecially when the government has their back. Middle America is not too pleased with not rogue bankers on the loose but ordinary bankers who rob banks from the inside, never spend much time in Club Fed, but live the life of Riley when their nickel ends. Perhaps the Statue of Limitations has ended in many cases, but government claw back of the perpetrator’s loot is still an option. Drug dealers assets are seized why not bankers?